As you may know, the layout of WordPress blogs can be a big hard to follow, so I’ve decided to post an index here, to help you find your way round. This blog started in August 2012. As usual, even following the links below, you have to go to the bottom of each page, then work your way up. “Here is the computer news. 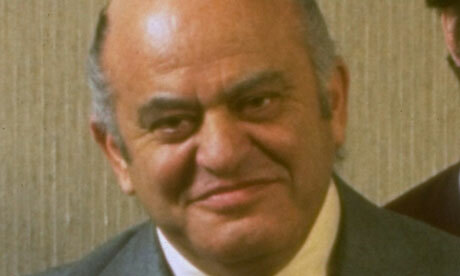 Jack Tramiel, founder of Commodore Business Machines has been killed in a car crash! He guided his company from selling typewriters, to calculators, then finally on to computers, including the Commodore PET range, finally leading to the Commodore VIC-20 with a colour display, aimed more at the games market. We’ll never see another computer with a specification by Jack Tramiel appear on the market now. He leaves Commodore slightly in disarray, but regrouping to plan their next move. Could this play into the hands of Commodore’s competitors? Only time will tell”. “Here is the news from the World of computing. Today at the CES Exhibition in Las Vegas, there was a big shock when a mystery man suddenly appeared and seemed to give away some big secrets about Commodore’s latest computer, the Commodore 64. Atari representatives were expressing their amazement at the advertised price of $595 for a 64K colour computer, with a three channel sound synthesizer chip and moveable objects, which Commodore were calling ‘sprites’, when suddenly the mystery man, who no one seemed to recognise, shouted out ‘It’s $595 because they didn’t bother to commission a new version of BASIC, it only has 16 colours, and how can you access the 64K anyway? !’ After this, he quickly left and some people said it was as if he’d vanished into thin air. Further examination revealed it was running the same old Commodore PET BASIC as on previous machines, which reported only about 38K free and lacked any custom commands for the new hardware. Meanwhile, it seems that Commodore has shelved the Commodore 64 and gone back to the drawing board to address these issues, while both Atari and Sinclair are rumoured to have some exciting new computers in the pipeline”. “Here is the news about computers. The computer format war is now really heating up, with the Sinclair Spectrum and Atari range of computers shaping up to be the main players with the most software support, while the Apple II is the machine of choice for home users who can afford it and IBM’s PC is taking a big share of the business market. Interestingly enough, Atari with their new XL range is trying to move beyond its games image, although their hardware is almost a copy of their arcade machines. Atari computers are gaining popularity very quickly after people have realised how far ahead they are in the graphics and sound departments. Lots of third party software houses are busy producing games for the Sinclair Spectrum, although statements from Sinclair say they want it to be considered as ‘a serious machine’. A joint venture with Timex will see a version of the Spectrum released in the USA. Meanwhile, the BBC Micro by Acorn doesn’t have many games available for it, but not many home users are willing to pay out the extra money for a computer plastered with ports and interfaces they may never use in spite of its advanced version of BASIC with other languages available on disk. Acorn is supposed to be bringing out a cut down version of the BBC Micro to overcome this, but it’s not clear when it will be released on the market. Commodore’s VIC-20 computer is now looking a bit long in the tooth and Commodore may release a repackaged version complete with the VIC Super Expander cartridge, which upgrades the RAM to 16K, as well as adding new commands to BASIC. Design modifications are still continuing on a long awaited 64K computer from Commodore. There are also rumours of a new standard for home computers being developed in Japan. 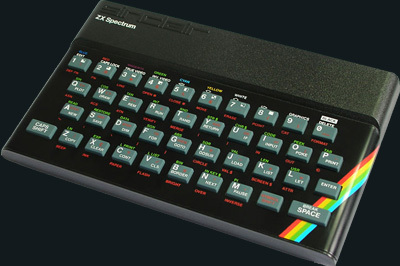 Individual companies would pay for a licence to make computers to this new standard, to be called MSX. More details of this when we get them, but insiders have claimed prototype machines look something like an Atari, or a Texas Instruments TI99, while Spectravideo is claiming they’ve copied their 318 and 328 range of computers”. “Here is the regular computer news. Commodore have finally brought out a new computer! It’s a new version of the much slated Commodore 64, shown at last year’s CES. They’re calling it the Commodore 128. It uses the same sound and video chips as the cancelled Commodore 64, but comes with 128K and a new version of BASIC especially written for this exciting new machine! The computer also has a second Z80 processor giving it a CP/M operating mode, as well as the new 128 mode. Existing VIC-20 software won’t run on the new machine, though. The on board Commodore BASIC V7 has commands for ‘sprites’, which are Commodore’s version of moveable object blocks or player missile graphics, as Atari likes to call them, as well as 3 channel sound synthesis, which Commodore have claimed is superior to all other computers. Meanwhile, in Japan, the shock news is that Yamaha, renowned for their musical instruments, has brought out an MSX computer incorporating a full blown synthesizer with 8 channels of sound using their FM sound synthesis technology. 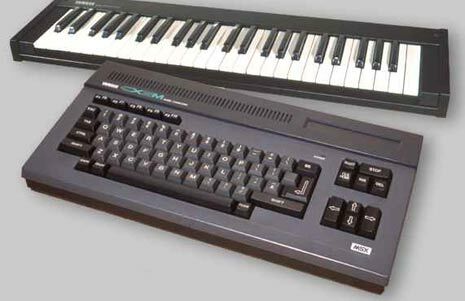 We must point out that this isn’t part of the MSX standard, but in theory the Yamaha music module could be fitted to any MSX computer, so long as Yamaha agrees to sell it separately. Bad luck for Commodore if they do! Acorn have brought out the Electron, which is a cut down version of the BBC Micro repackaged in a smaller case and lacking various interfaces, but complete with the advanced BBC BASIC. Not too good for musicians though, with its one channel sound”.